Can Fox Sports Live become a legitimate competitor to SportsCenter? So this Saturday is going to be kind of a big deal in the sports media landscape as the long-awaited debut of Fox Sports 1, the new sports network aiming to compete with ESPN, takes place on that day. 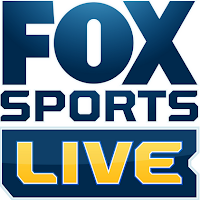 Opening day features a nice helping of NASCAR and UFC action but the centerpiece of their debut, as well as the core piece of their studio programming beyond their already impressive slate of rights, is their nightly highlights, news and opinion show, Fox Sports Live. With its 11 p.m. timeslot, Fox Sports Live is planning to take SportsCenter head on, and expectations will be high after an intriguing and interesting crew has been put together for the program. But can Fox Sports Live do more than just talk the talk and be a true competitor? There are going to be two aspects to Fox Sports Live, the highlights piece led by Canadian-imports Jay Onrait and Dan O'Toole from TSN and the panel piece led by Charissa Thompson featuring Andy Roddick, Gary Payton, Donovan McNabb and Ephraim Salaam. We are not quite sure how the show is going to break up, who will be the de facto host, there are still questions about the show we don't know the answers to, and that makes sense, eh? We already know what piece of the show is going to be great, and that will be the highlights portion with Onrait and O'Toole. Those two are awesome, just ask our friends at YouTube. After all, there is a reason why the Wall Street Journal wrote this. America has a right to be pretty excited about what Onrait and O'Toole bring to the table and they just may put together a better product that their former sister program over at the "Worldwide Leader." Hell, even their podcast is great. But it's the panel portion of the program that could be great or a big swing and a miss. Thompson is excellent as she showed working alongside that hack Colin Cowherd and then alongside Marcellus Wiley on SportsNation; she has a great sense of humor and a natural calm with the jocks. Roddick is a pretty funny guy and I like Salaam a lot. McNabb has not shown that much during his time as an analyst and Payton could be a disaster (and judging by this video, he just may be insufferable). The simple point of the panel comes from a quote from McNabb, "People want to hear Gary Payton talk about badminton." Therefore, one can expect not exactly deep and thorough analysis, which may appeal to some. And thus the potential concern with the show, let's say Onrait and O'Toole are on a roll breaking down the highlights and then they send it over to the panel, killing the momentum of the show. However, on Sunday nights, the two will be doing their own show. SBNation's Steve Lepore makes a strong point when he says that maybe they should let Onrait and O'Toole do their thing, and make the panel a completely separate part of the show altogether. Have the highlights duo run the first hour, the panel run the second, and then go back to the highlights in the third hour. It's such a good idea, I wish I thought of it. From first glance, it looks like Fox Sports Live may be dumbing down its product for the viewers, with many seeing comparisons to the FSN classic, Best Damn Sports Show Period. Now, I was a fan of the old show (Tom Arnold, anyone?) but if that is the flagship news and highlights show, what happens when serious news breaks? Can Fox Sports Live turn serious when it has to? One thing we do know is that this is a program that will have a contrast with ESPN, and the collection of talent and personalities is good enough to get folks to tune in at least once. And there is a desire for something else from SportsCenter. Therefore, the first impression for the show will be important, but how the program evolves over time will be even more important. This show is crucial to Fox Sports 1, and thus its success is critical.